Are you in Cambridge for a day or a week? There’s definitely something for you in this fantastic city. Choose from a walking tour whether it’s an hour or two hours and follow a local around to find out more about the interesting history. Want to do your walking alone? Make sure to pick up a few leaflets from the Cambridge Tourism Office and have google maps ready to go! 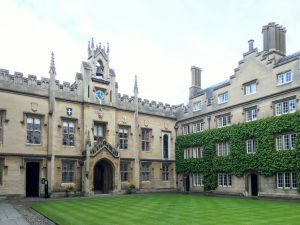 Keep an eye out for sites such as King’s College Chapel, St. John’s College and Trinity College. There will be plenty of helpful faces and friendly students around, so if you lose your way, don’t be afraid to ask someone how to get back on the right path! When the weather turns sour, don’t let it spoil your trip. Instead, why don’t you head to one of the multitudes of museums in the county? It shouldn’t be too difficult for you to find yourself a museum. Would you rather visit the Centre for Computing History, where what you’ll find is clear in the title? Or, maybe you’d rather visit the Fitzwilliam museum instead? Here, you’ll be able to find everything from antiques from Ancient Rome to European pottery throughout the ages. Let us know your opinion of the broad range of tourist attractions in the area by getting in touch. If you’ve enjoyed a long walk around the city and are now looking for some greenery, then you have a wealth of options. Choose from; the River Cam, Cambridge University Botanic gardens or the Backs. One of the most popular places to relax and be with nature is the botanic garden which is heritage-listed and well worth a visit. Whatever your interests, you’re very likely to find something which suits you and after a day of exploring, don’t forget to visit some of the city’s best coffee shops and restaurants. Some names to jot down and find when you’re here are; Barismo – a cute coffee shop with delicious coffee, Cafe Luna, Area Four is a great place to grab a coffee and pizza too. However, for evenings, why not try out: Cotto Restaurant, the Oak Bistro, Galleria Restaurant Cambridge or Bedouin for starters! After you’ve visited everything on this list, you’ll be content to leave Cambridge feeling like you know a little more about the history and culture. However, make sure to let us know your opinions and any local news stories by getting in contact over on the dedicated page.